Who wants not occasionally escape from everyday life now and then? A walk along the River Limmat or in the cool forest, finishing the evening with a concert or a theater, taking a bath in the river on a hot day, or enjoying a panoramic view from the ruins of Stein Castle – Baden has a lot to offer to its guests. 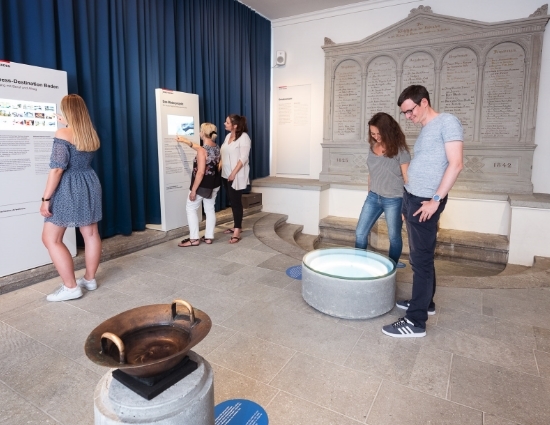 Experience the thermal waters, immerse yourself in the citys impressive past and baths and explore the charming future with the new thermal bath and the “Verenahof Geviert” area in the Spa Information Centre. 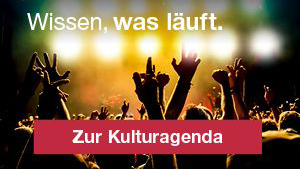 The magazine 100Percent tells many exciting and entertaining stories about the cultural and recreational activities in Baden and the region. This years edition of the magazine is available at Info Baden or here. Baden and its surroundings offers a surprising diversity of leisure and cultural activities for everyone: Restaurants, hotels, bars, clubs and music venues, the Grand Casino Baden, modern cinemas, museums and theaters, and unique thermal springs, various sports facilities and much more. Listen to fascinating anecdotes from the turbulent time when the city was establishing its legislative assembly and admire the historical city walls and buildings. Prior sign up is preferred, but last minute decisions to join are welcomed warmly as well. Are you missing a present for your loved ones, a birthday, or a wedding? Then we have exactly what you need! Give them a weekend in Baden as a gift. Order online and print the voucher at home.